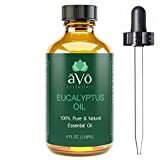 Store Home » Essential Oil Uses » Colds & Congestion Essential Oils » Silky Scents EO146-5ML 100 Percent Pure Therapeutic Grade Eucalyptus Globulus Essential Oil - 5 ml. Silky Scents EO146-5ML 100 Percent Pure Therapeutic Grade Eucalyptus Globulus Essential Oil - 5 ml. Eucalyptus Oil is Effective & Multipurpose - A Must Have For Every Household! Are you looking for the best essential oils on the market, but you don't want to spend a fortune? aVo Essential Oils are 100% PURE, PREMIUM, and undiluted with no preservatives! This Eucalyptus oil is vegan, all-natural, and therapeutic grade. Purity and quality are our top priority, and we stand behind the integrity of our products. We strive to provide only the highest quality, natural oils that everybody can benefit from without breaking the bank. Check Out The Benefits From The Numerous Possible Uses Of Our Remarkable Eucalyptus Oil Below: ?Add a few drops in your diffuser before sleeping and treat cold, flu and allergies effortlessly and naturally! ?Mix it with sea or Epsom salt and use it for your salt baths in order to get rid of hand foot, or muscle soreness! ?Use it as the perfect moisturizer for your hair and prevent dandruff and cure your itchy scalp! ?Also mix it with your house cleaning products to remove persistent stains, bad odors and keep away mold! ?Benefit from its antimicrobial and antiseptic properties to treat burns, cuts, abrasions and scrapes-not open wounds! Stop using chemical products that can harm your health. Benefit from the powerful healing properties of Eucalyptus Essential Oil starting today. When you buy from aVo Essentials, you're not just getting Premium Eucalyptus Essential Oil. You'll also receive our outstanding customer service. Purchase with confidence while being covered by our unconditional 365 Day Money Back Guarantee! Silky Scents EO206-10ML 100 Percent Pure Therapeutic Grade White Fir Essential Oil - 10 ml. FeaturesWhite Fir Essential Oil Blends well with - Coumarin galbanum oakmoss and rosemary 100% Pure Essential Oil 100% Pure Therapeutic Grade Capacity - 10 ml. Aromatherapy PropertiesSilver Fir Needle is mainly used for treatment of respiratory system bronchitis coughs sinusitis. Muscular aches and pains and much used as a fragrance in perfumes for bath preparations air fresheners deodorants detergents room sprays soaps cosmetics disinfectants.